Caponata is a classic Sicilian eggplant dish served usually with grilled crostini as an antipasto (Appetizer). 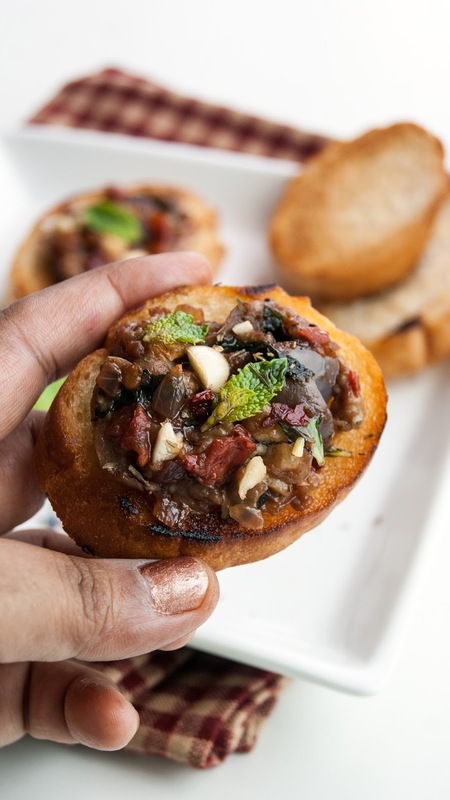 Caponata is slightly sweet, savory, spicy, bursting with flavors from fresh herbs and garlic. Recipe inspired by Mario Batali. 2. Apply butter on the both side of the baguette and grill until crispy. 7. Cook the mixture on medium flame for 8 to 10 minutes until the eggplants are cooked through, soft. 9. 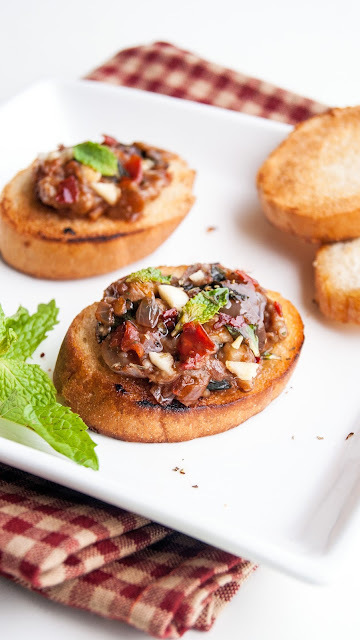 Serve eggplant caponata spooned over the grilled garlic crostini.